BitRock products are used by companies and governments all over the world in a diverse group of industries and applications. Read the testimonials below to hear what some of our customers have to say, or view a partial customer list to see the wide range of companies using BitRock products. Alfresco is the leading open source alternative for enterprise content management. It couples the innovation of open source with the stability of a true enterprise-class platform. The open source model allows Alfresco to use best-of-breed open source technologies and contributions from the open source community to get higher quality software produced more quickly at much lower cost. NuDesign Technologies, Inc, headquartered in Toronto, Canada, provides Visual SNMP, CLI, web/XML management agent development applications, tools, software components and consulting services to developers worldwide. NuDesign's management software technologies are reliable, proven and quick-to-market solutions. Our highly automated SNMPv3 and CLI Agent tools and training resources, enable rapid prototyping and development, facilitate organization and your design process, while supporting multiple embedded and desktop environments with generation of very complete and ready to build SNMP and CLI agents. Openbravo is the leading professional open source enterprise management solution for small and midsize enterprises. MySQL AB develops and markets a family of high performance, affordable database servers and tools. MySQL's mission is to make superior data management available and affordable for all. Splunk is a new search technology that lets you easily navigate all data recorded by your IT systems. Splunk's mission is to make navigating IT infrastructure as easy as surfing the Web. From one place you can make sense of log and configuration files from any device or application, message queues and the enterprise service bus, JMX notifications, SNMP traps and records stored in database tables, regardless of their format or source. Now you can reduce mean time to repair and improve service quality by diagnosing and resolving problems faster and more precisely. Zmanda is the leader in open source backup and recovery products. Its Amanda Enterprise Edition is the certified, tested and fully supported version of the world's most popular open source backup and recovery software, Amanda. Amanda Enterprise Edition was designed with a focus on usability, security and application support that make it the right choice for today's technology-driven business environments. Zmanda Recovery Manager for MySQL is industry's first comprehensive, enterprise-class backup and recovery solution designed specifically for MySQL databases. Process-one is a French company working worldwide in the field of parallel computing, developping applications that are highly available, scalable and fault-tolerant. LimitState software helps engineers to rapidly evaluate the safety of bodies and structures. We incorporate cutting edge optimization technology in our software to efficiently identify when a loaded solid body or structure will fail. Products include LimitState:RING, a world-leading software application for assessing the safety of masonry arch bridges (the single most common bridge type found in Europe) and LimitState:GEO, an exciting new software application for geotechnical stability problems, which allows users to quickly and easily analyze problems simultaneously involving slope stability, retaining walls, foundation footings and tunnels. JEOL is a leading producer of analytical instruments and tools for the scientific and industrial communities. CAPS develops and commercializes innovative softwares for high performance application tuning in the domains of HPC and embedded systems. CAPS offers a whole range of development tools and services enabling its customers' applications to optimize the performance of multicore processors used by the last generation hardware. KnowledgeTree. Document Management System (DMS) is a commercial open source web-based document management system. KnowledgeTree has wide applicability in helping organisations meet regulatory compliance challenges such as the Sarbanes-Oxley Act, SEC Rule 17a-4 and FDA 21CFR11. The combination of open source, ease of use and low-cost proprietary extensions make KnowledgeTree an attractive choice for both small and larger organisations. Smoothpay/Gold is intuitive payroll software that takes care of the detail. It's simple to use and because it does the hard work for you, it'll save you time and money. Smoothpay/Gold is freshly designed from the ground up to make the task of managing staff and payroll easy for Australian (and now Indonesian) companies. Codice Software is a privately held engineering company focused on the design and development of Software Configuration Management solutions. Codice's main goal is providing a high end SCM product, implementing all the functionalities of the top configuration management suites, and making it affordable to every software company around the globe. Codice's mission is contributing to the software industry making CM widely available to any-sized organization. Inovis is a leading provider of supply chain communication solutions that help businesses improve the flow of information across their trading community. Their industry-leading, integrated solutions standardize, synchronize and streamline communication to increase the percentage of perfect orders and expedite the order-to-payment lifecycle. Excentis (www.excentis.com) offers testing and consulting services and specialized training for the telecom and ICT industry. Its consultancy ranges from architecture designs, audits and operational support to field problem solving. Excentis executes specific test programs on network components and acts as an independent company to perform certification testing for EuroDOCSIS and EuroPacketCable equipment on behalf of EuroCableLabs. Born out of this hands-on testing expertise, the company also developed unique testing products, like the ByteBlower® traffic generator/analyzer. Darkling Simulations, LLC is a computer software company specializing in 3D graphics and visual simulation. We are dedicated to pushing visual software technology in new and interesting directions. SnapLogic is an innovative software company focused on the data integration problems prevalent in the Enterprise 2.0 era. Our mission is to simplify the integration of data and applications across the enterprise, regardless of format or location. This is especially important today as data now spans corporate boundaries to the cloud where SaaS, hosting providers, and web APIs are emerging. By providing a simple, consistent paradigm for data integration across the web, SnapLogic's open source solution enables our customers to choose the best applications and deployment strategies for their business in terms of cost and value delivered. Based in San Francisco, CA, Matador Technologies is a market-leading provider of Enterprise Application and Integration Testing solutions. Matador's products help companies successfully manage a services-oriented architecture by providing detailed visibility into the performance of enterprise systems, including middleware, enterprise applications and databases. UserScape is the creator of HelpSpot, an easy to use, web-based customer service portal. Phyx Inc. has been developing custom tools for Visual Effects since 2002. In 2007, Phyx Inc. brought some of these tools to public availablity. Phyx Inc. has created its tools with the involvement and guidance of professionals from Industrial Light and Magic (ILM), WETA Digital, Digital Domain, Sony Imageworks, Pixar, Kodak Cineon, and others. Tomlab Optimization (http://tomopt.com) provides optimization and optimal control platforms for MATLAB, .NET and AMPL users. The systems are used at universities and advanced research centers around the world. PSB is a medium-sized ICT organization, specialized in the analysis, design, building and maintenance of high-quality information systems. PSB started in 1985. PSB's customers are large organizations, usually operating on a worldwide basis. Hyves was started as a social networking site in 2004 and has been through a tremendous growth. According to independent research from STIR, Hyves is currently the biggest website of the Netherlands. Each month, more than 7 million Dutch people visit over 4 billion pages on Hyves. WeoGeo is a one-stop marketplace for geospatial content that gives surveyors, engineers, cartographers, and scientists the ability to store, search, and exchange raster, CAD, and GIS mapping products. By increasing the persistence, accessibility, and marketability of geospatial content, WeoGeo improves efficiency within the geospatial industry. This, in turn, improves decision making in the use of human and natural resources. The Janus Software mission is to bring easy to use, powerful applications to both Windows and Linux that combine the best elements from the Unix and Desktop traditions. Its flagship products are Phoenix Object Basic and the Firebird RDBMS. Together they far exceed tools like MS Access or Powerbuilder in capabilities and work on both Windows and Linux systems. IFTOOLS produces 'serial realtime analyser' hardware and software for analysing rs232 connections between any devices (embedded systems, PC's and so one) with a timing solution of 1usec. IFTOOLS also develops the open source library ctb (communication toolbox) and tools to make developing software for serial communication easier. Founded in 1996, Concatel is a leading Spanish provider of Information and Communication Technology Services located in Barcelona. Concatel is part of the Vanture Group. Pentaho manages, facilitates, supports, and takes the lead development role in the Pentaho BI (Business Intelligence) Project. JasperSoft is the market leader in open source business intelligence (BI). With more than 2.5 million downloads worldwide and more than 7,000 commercial customers in 96 countries; JasperSoft offers the most widely used open source business intelligence software in the world. The JasperSoft Business Intelligence Suite is comprised of an interactive reporting server, graphical and ad hoc report design interfaces, OLAP analysis, an ETL tool for data integration, and a Java reporting library for scalable small, medium, and large enterprises, for use as either stand-alone or embedded business intelligence applications. JasperSoft is based in San Francisco and is backed by leading venture capital firms Morgenthaler Ventures, DCM, Partech International, Scale Venture Partners, and SAP Ventures. Literature & Latte was founded in 2006 with the sole purpose of creating software that aids in the creative process of writing long texts. SIMPACK AG, an international and steadily growing company, develops the virtual prototyping and 3D-MBS simulation software SIMPACK. With the headquarters in Gilching, near Munich, Germany, SIMPACK AG has subsidiaries and distributors all over the world. 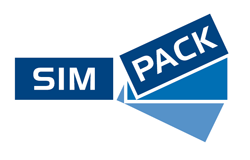 SIMPACK AG is solely responsible for the development of the multi-body simulation tool SIMPACK. SIMPACK AG offers high-level consulting and engineering services in the field of virtual prototyping and prides itself in having quick response times to customers' needs and wishes; furthermore SIMPACK AG also offers training courses for the SIMPACK MBS software. WildScaper produces educational software for building environmental games. WildScaper provides a powerful combination of visual painting tools and media content, enabling students at early skill levels to create visually appealing environmental software games quickly. WildScaper and the standalone player WildPlayer, provide the tools students need in an integrated, streamlined environment for designing and distributing their environmental games and stories as standalone multimedia software programs. Open BlueDragon (www.openbluedragon.org) is the open source version of the popular BlueDragon CFML engine. Released as a GPLv3 open source project, on the 3rd of May 2008, Open BlueDragon brought together a community of users and experts to drive the future of CFML as a whole. Our project is called "KirstensViewer" ( http://www.kirstensviewer.com ), is a browser/viewer for metaverse and virtual worlds, from LindenLabs (r) traditional one to the various variants of openSIM. Kirstens Viewer series S21 (now working on release 7) is a point of concept of graphics rendering pipeline, it bundles advanced features from realtime shadow and sun/light, deep of field and avatar human bouncyness. The requirements are a bit higher than standards of other kind of viewer, and till now linux users suffered a lot the missing graphic installer.